“Ok Google, set an alarm for 6.30,” you say as you sleepily hit the pillow, knowing your phone or Google Home device will wake you up at the right time, all without touching a button. It’s the technology that’s slowly infiltrating our lives: voice-based commands spoken to Virtual Assistants (VAs) aka AI personal assistants, such as Amazon’s Alexa, the Google assistant, and Apple’s Siri. These voice-based VAs help us perform tasks we’d usually have to perform ourselves manually, from setting alarms, to checking the weather, to writing out our text messages and emails for us. Known as voice-based chatbots, these voice-driven technologies combine two fields of computing – natural language processing and machine learning (an advanced stream of artificial intelligence) – to take on administrative and cognitive roles traditionally performed by humans. Voice-based tech is no longer rudimentary, unable to determine what users actually mean, only able to perform the most basic of tasks. The progression in intelligence in natural language processing and machine learning behind the tech is fuelling massive growth in the area. 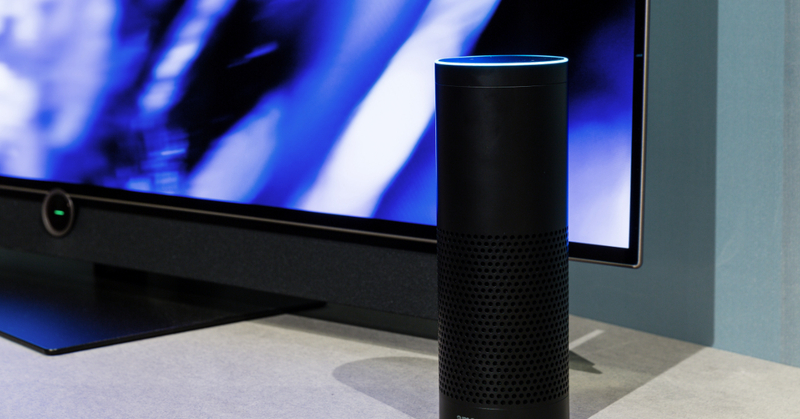 These voice-based technologies aren’t only shaking up the home market; they’re also transforming the way we do business. Business chatbots can be either informational, designed for enterprise productivity, transactional, or for device control – all essential services in business. Currently, they report that 47% of executives surveyed have already implemented bots or are planning to. You may have noticed when on the phone to Australian government agencies, they are now asking you to enrol in voice identification systems, so they can directly tailor your customer journey, identification, and experience to you personally. Presently, the chatbot market has been mostly directed towards customer service initiatives, CRM, and sales, however, there is far greater reach for chatbots beyond these roles, including in auditing, accounts, R&D, finance, supply chain and more. In fact, almost every business function can incorporate chatbots to do business better. Fortunately for businesses, Google, Apple, and Amazon offer tools and open APIs (like creating an Alexa Skill), so that developers can build their own solutions from the existing tech – complex systems that would be impossible for businesses to build from the ground up. With companies around the world building solutions on top of these state-of-the-art voice techs, and often sharing their solutions, such as Qualcomm’s Mesh Networking Development Kit for Amazon Alexa Voice Service, we are able to see rapid development in the space, driven by open systems and collaborative development and partnerships. Customer assistance can be seen in the form of Dominos DRU Assist, launched in 2017, that helps customers order pizza to their door all via voice commands. Pfizer, the pharmaceuticals giant, partners with Versa to develop drug information voice solutions for new patients, without having to delve through extensive and complex pharma documentation. Olikka recently launched its AI Amazon Web Services helpdesk. Many, but not all, of the solutions being rolled out for voice are currently focused on the customer-facing end of business. One non-customer-facing solution, the Polycom Trio conferencing phone, is a smart phone built with Alexa for Business integration, plus integrations for Microsoft Teams, Zoom, BlueJeans, and AWS. This phone basically removes the headache of working across multiple different projects, each with their own preferred communications platform. Unified, seamless business communications are more important than ever, and voice-based tech is helping forward-thinking businesses do just that. While companies are now gaining traction developing better and more personalised customer experience and services with voice-based technologies, there is still this tendency to focus solely outwardly, instead of what they can do inside the office. The next wave of voice-based tech in business is likely to see organisations utilising these tools within the organisation, and even on the go via mobile, enabling teams to be more organised, agile and efficient. Looking for a role in this exciting field? Explore some of the most tech-forward employers in the country to see where your perfect fit is.